I’ve started venturing into the world of doing remote user testing. This means that instead of recruiting people to come in to the office to do user tests, I use screen sharing technology to see how they use the web site I’m testing on their own computer. I’m able to talk to people all over the world, not just in San Francisco. I can see how the participants use the site on their own machines and browsers. Recruiting is typically the most difficult and annoying part of doing user testing. Remote testing is easier to recruit for, since it doesn’t require the participant to go anywhere. Here’s the skinny — UserVue is a great tool that is specifically built for remote testing. However, it only works on PCs. If you’re on a Mac, you have to assemble more of a Rube Goldberg-ian app suite. I did lots of tinkering with settings and applications to make this work; when I was done, I realized that these notes could be helpful for others. 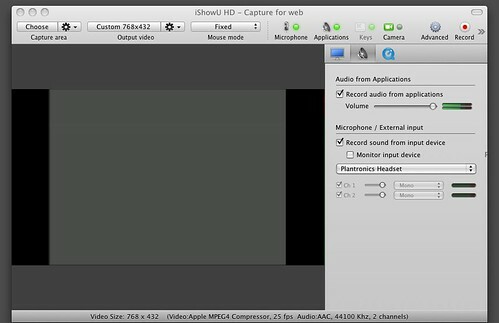 Acrobat Connect for screensharing. You do not need to buy the “Pro” version, Acrobat Connect Pro. Note that the Adobe site hides the cheap, non-Pro version. Cost: $39.95 a month. 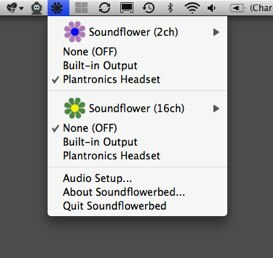 Skype for audio. Free to use but you will need to pay to call phones from Skype. Pay in increments of ‚Ç¨10. Headset for using Skype. You will need a headset that has a built in microphone. I’m using the Plantronics GameCom Pro 1 for no other reason than I found one in our office. It works well. 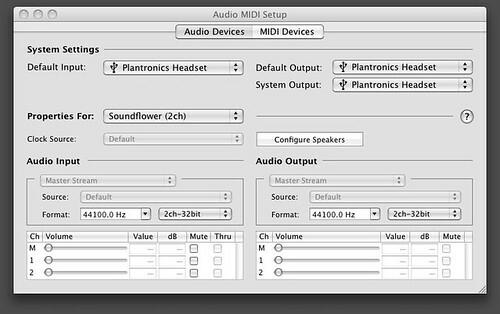 Go to Advanced Options and click on the megaphone to adjust sound preferences. Choose the area of your screen to record. Click “Choose” to select your capture area and toggle over to your Adobe Connect window and trace around the meeting space. Moderator calls participant using Skype. Audio quality will be better if you call them on a mobile or landline number rather than on Skype. Instruct the participant to Select “Enter as Guest” and type their name. Tell them that you will approve them to enter the meeting. Approve them to enter the meeting once they have done this. Tell the participant that they will be prompted to install the Adobe Acrobat Connect Add-In if they don’t already have it. Connect will then open for them in a new window. Ask them to click “Share Your Screen” again. Tell the participant that where you see “Start Screen Sharing” select “Applications” then the name of the window where the website is open that you’ll be discussing. 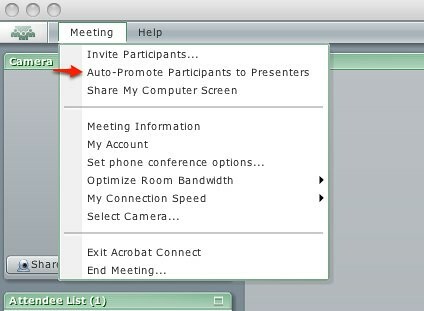 At the end of the session remind the participant to select “Stop Sharing” at the bottom of the Connect window. I’m interested in hearing about your experiences doing remote testing. Do you have gripes? Inspiring stories? Tips for other people doing user research? Good luck and have fun! wow lady! this is invaluable information. I haven’t had a chance to go through and try everything, but this erodes most of the excuses for not doing user testing. Great post, Julie! I’m going to try a variation on a theme of this in the next couple weeks! Hey Julie, that was a very interesting post.